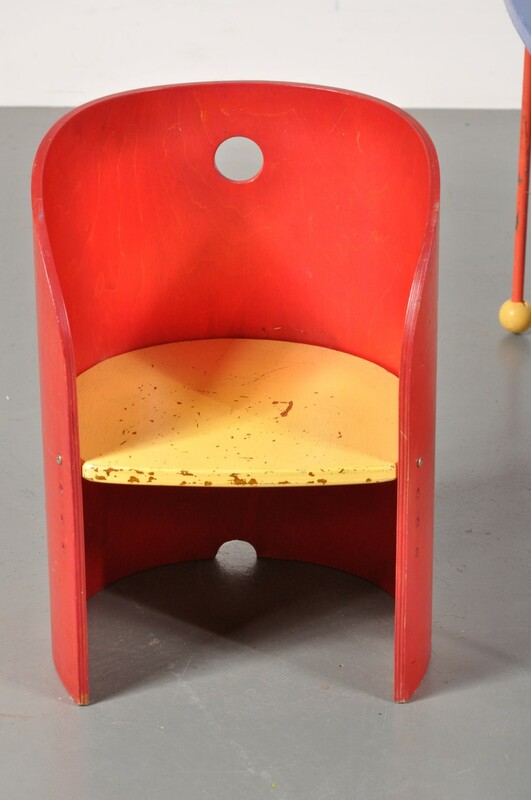 A very nice, colourful children’s set in vintage style! 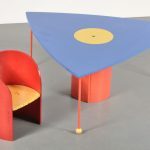 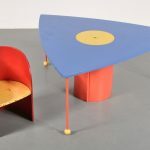 This colourful set is made of wood and contains a chair and a table, both in playful design with a unique use of shapes and colours. 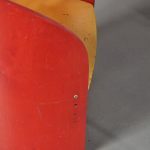 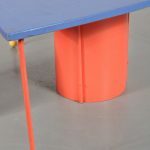 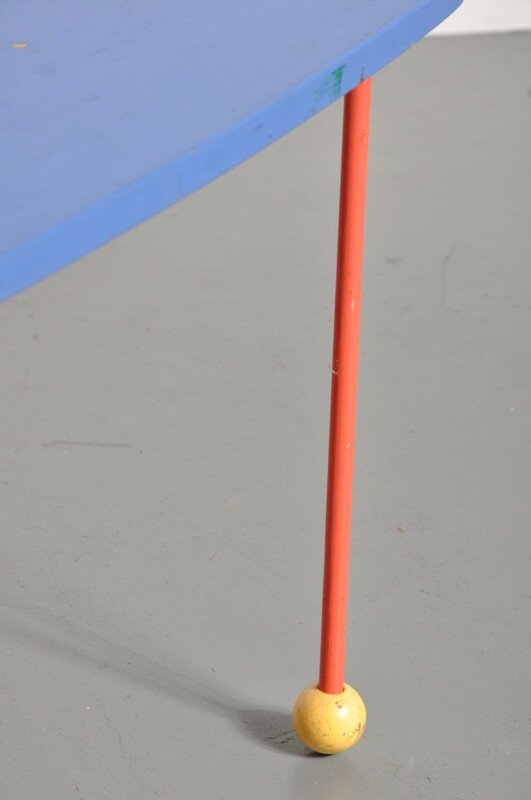 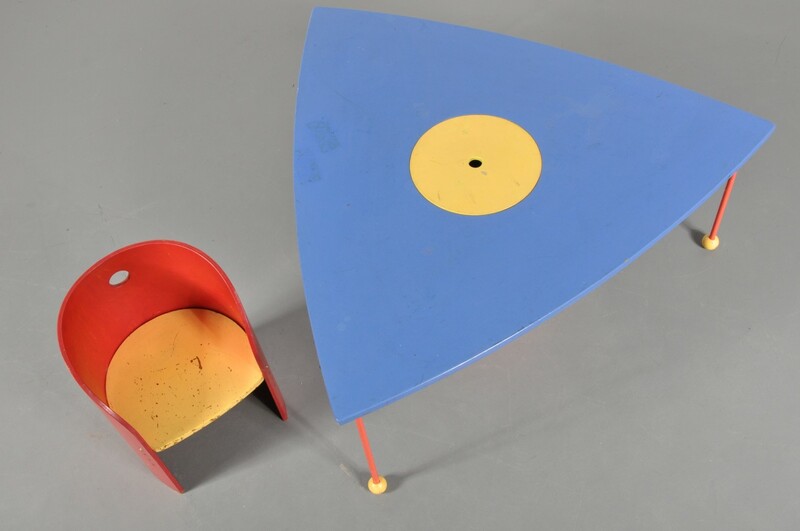 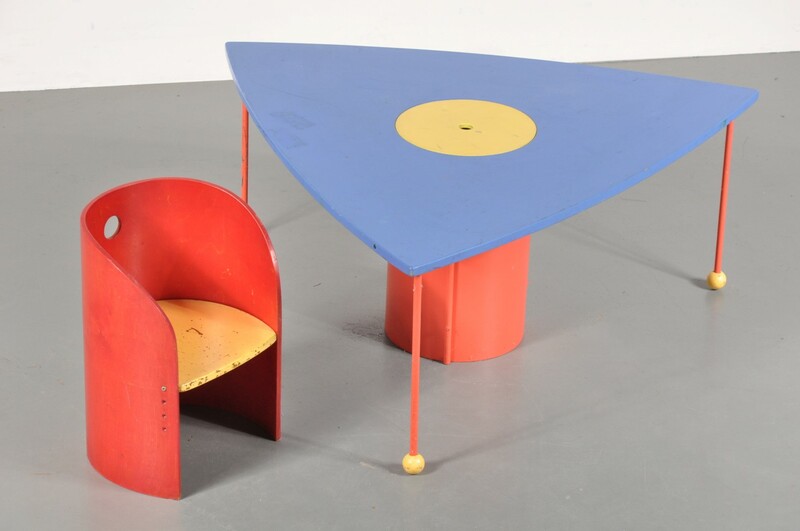 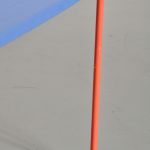 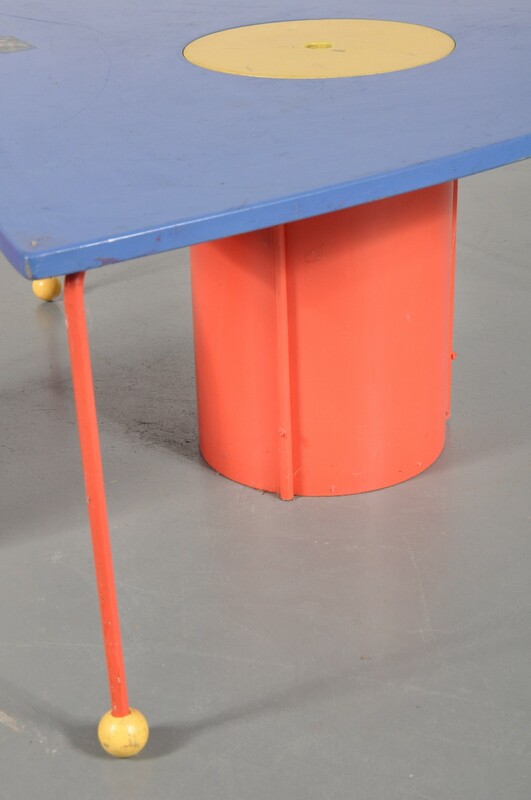 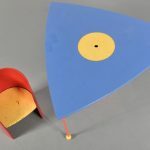 The table has a blue triangle shaped top, three legs with yellow round feet and a big red leg in the middle for support but also…. 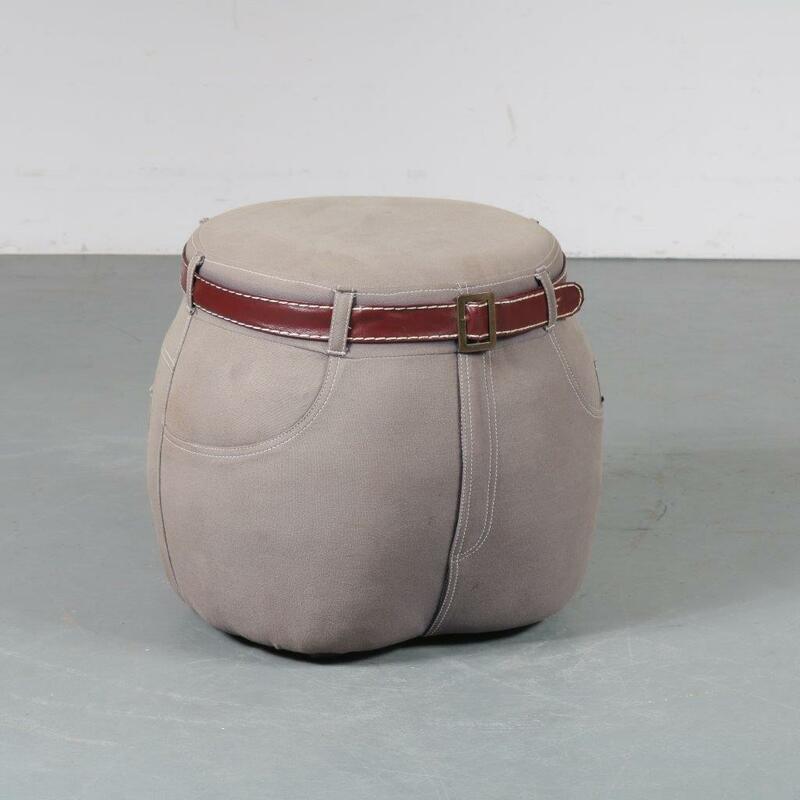 Hides a storage space! 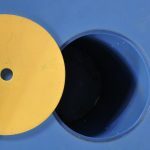 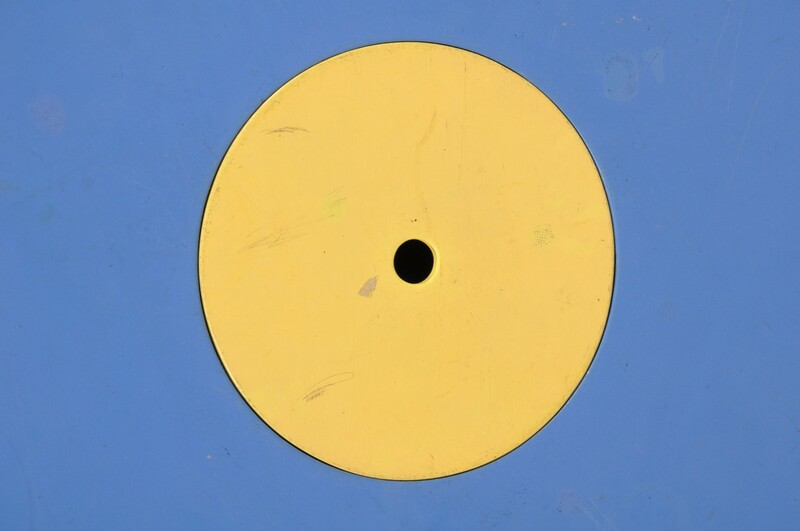 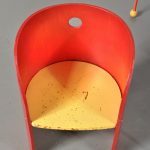 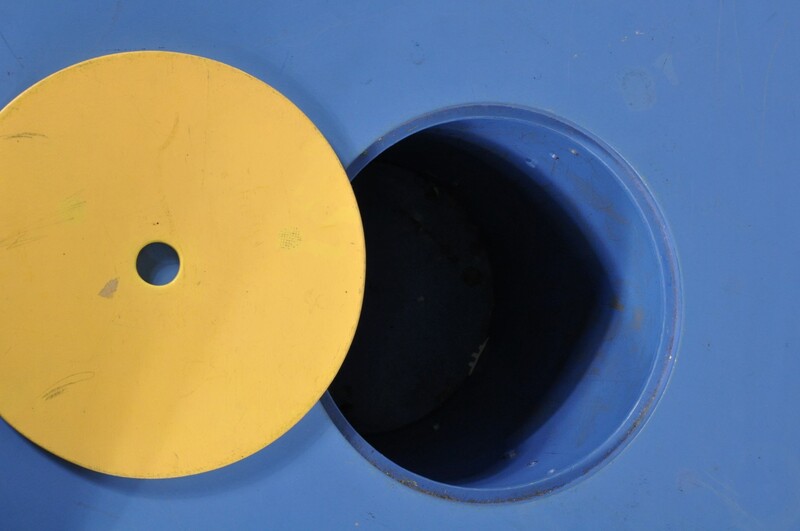 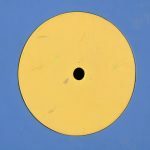 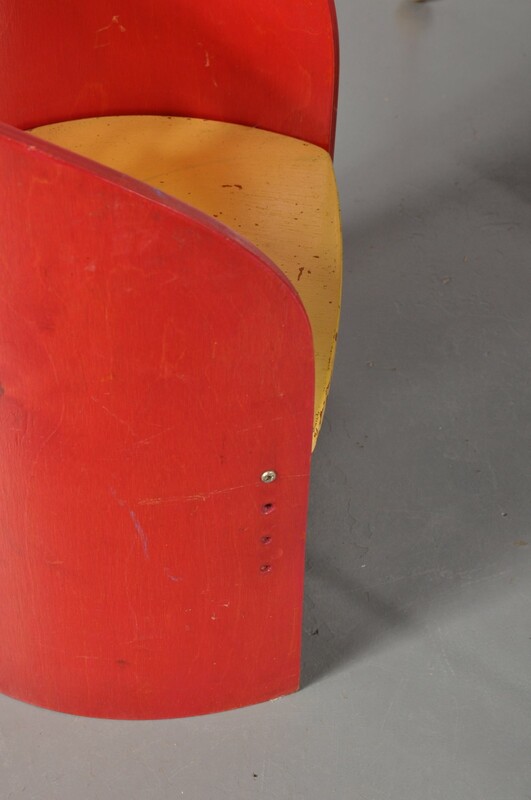 The round yellow shape of the feet returns in the table top as the lid of the storage unit. 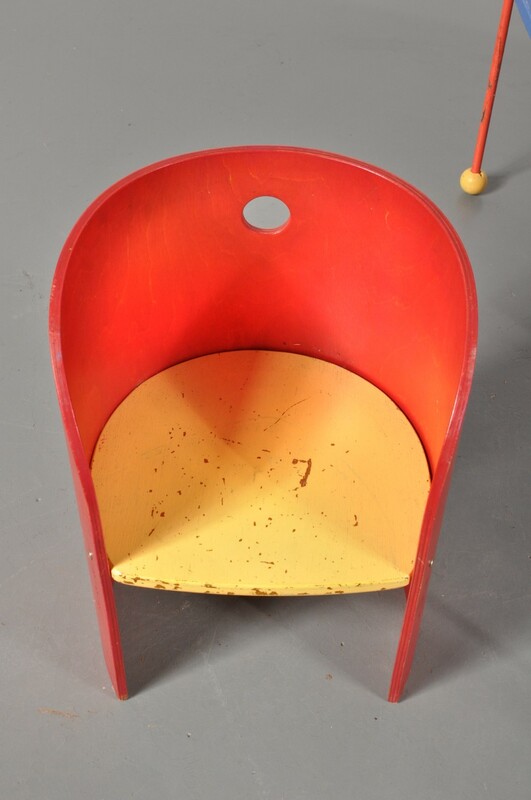 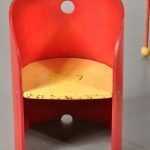 The little chair is red with a yellow seat, fitting well with the table. 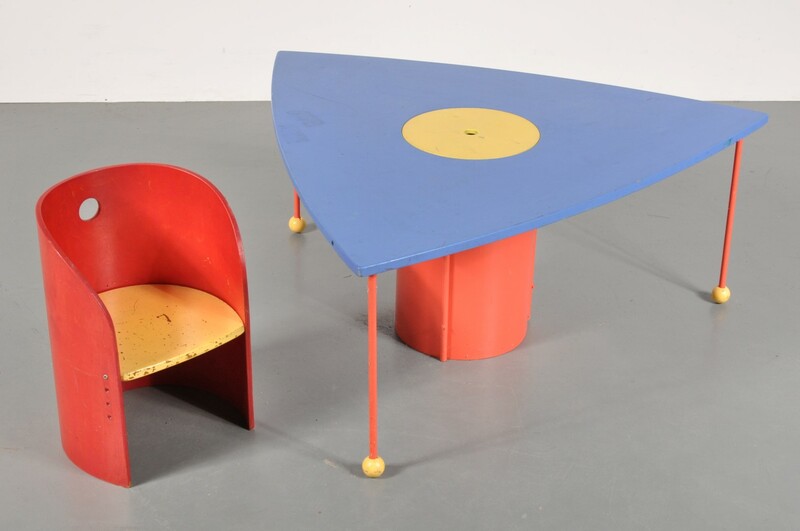 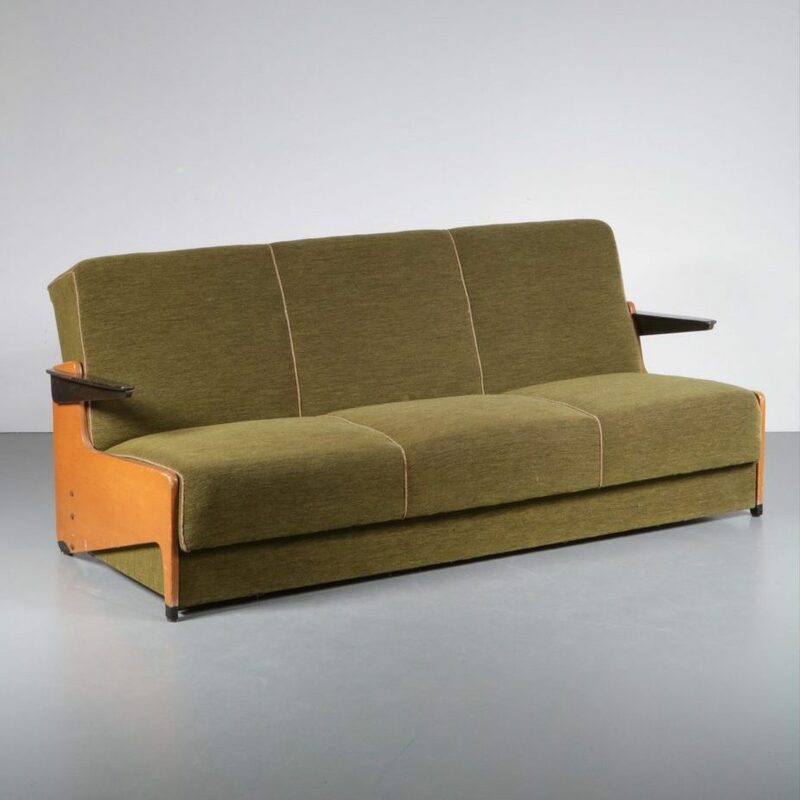 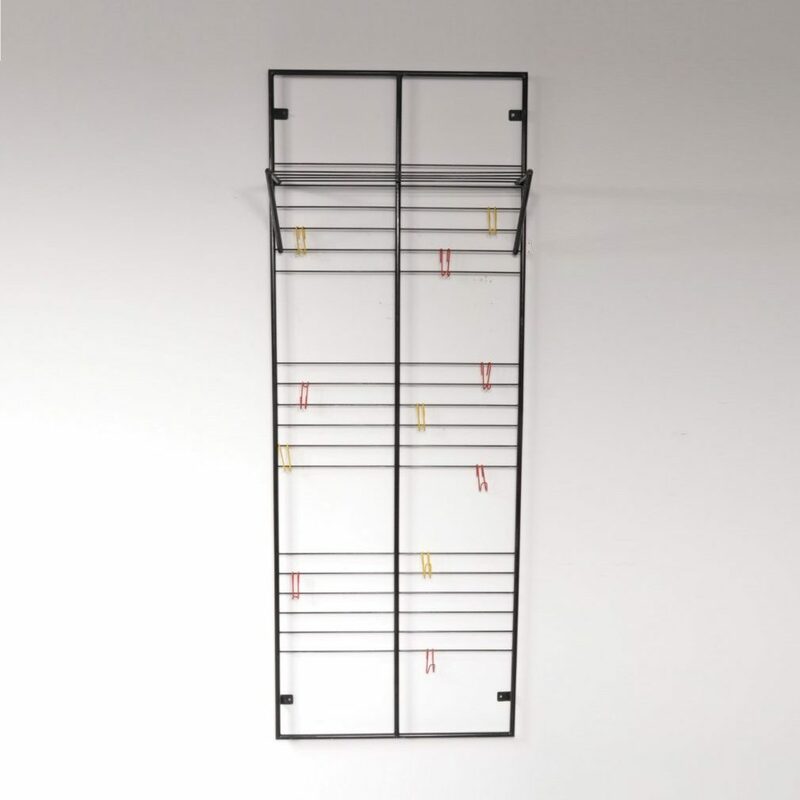 This set would look great in a children’s room, but because of it’s nice midcentury style can also be placed in your interior, adding a nice touch of design! 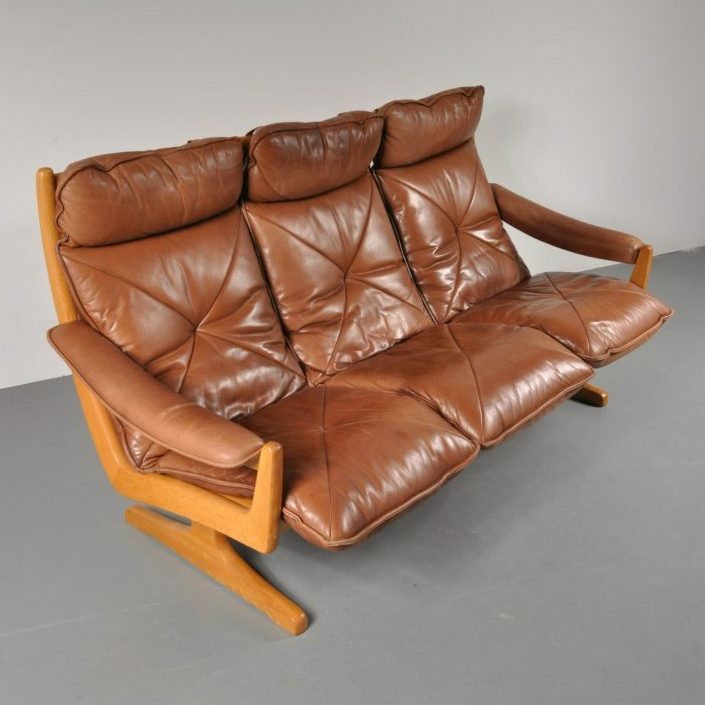 It remains in good, vintage condition with minor wear consistent with age and use.